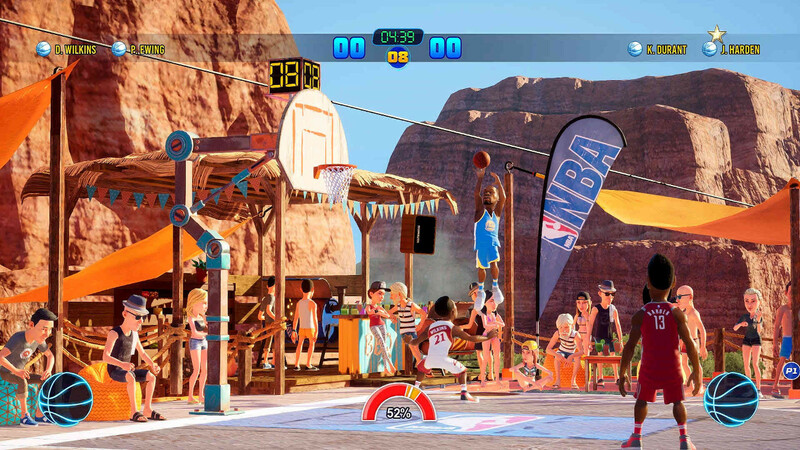 A week ago NBA Playgrounds 2 was officially announced with a stated summer release window. That would have put its landing date between June 21st and September 22nd. The game may actually be a spring release instead with Gaming Tailgate first spotting the PlayStation Store product page which includes its apparent release date and pricing. If the Sony page for the game is accurate – and considering they are taking pre-orders it seems reasonable to assume that it is – NBA Playgrounds 2 will release Tuesday, May 22nd. It’ll be sold for $20 which is the same price point as the first NBA Playgrounds. Even better is that PlayStation Plus members that pre-order will get 20% off to make it just $16. The game has not yet been listed on Xbox One or Steam. Releasing in May would make a lot of sense for NBA Playgrounds 2. The NBA Playoffs will still be ongoing with the Finals set to begin on May 31st. The Draft then will follow on June 21st with those new players becoming available to add to the game. It’ll also be able to avoid heavy market competition by separating itself to a greater degree from the rush of major licensed sports games that release in August and September.